The project “Breaking Down Stereotypes – Building Trust and Hope” is being implemented for two years” with its main goal to break down stereotypes and unite youth from Botkyrka, Pavlohrad and Lutsk by means of common creative cultural idea: practicing song and dance together, friendly communication and artistic inspiration. 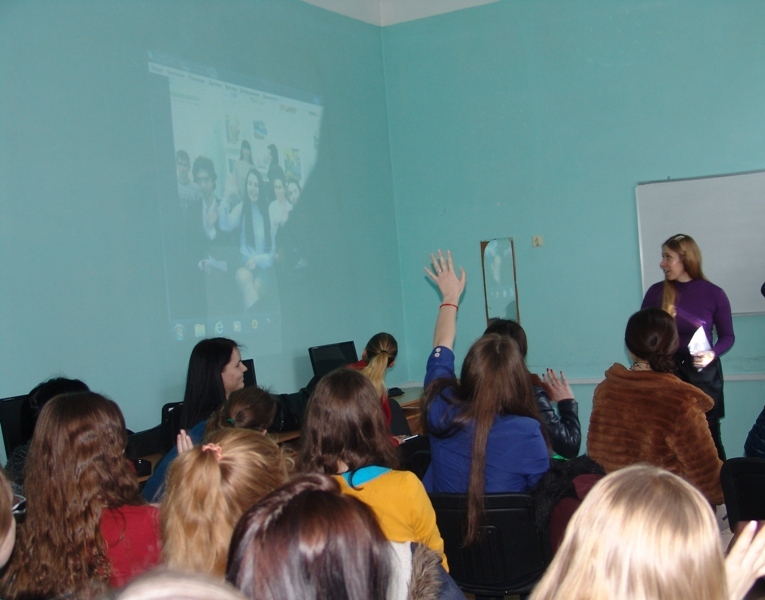 During the Skype-conference the pupils from Pavlohrad, the representatives of Botkyrka Municipality (Sweden), and Lutsk Swedish-studying students with their lecturer Alla Gnatiuk were discussing future plans for cooperation. It was agreed to conduct a Flash mob in the memory of Chernobyl liquidators and all the people who suffered from this nuclear disaster, as this year is 30 years tragic anniversary of Chernobyl explosion. The other idea for future cooperation was to organize football match between the project participants. As song is one of the project tools for uniting youth and reach mutual understanding, the conference logically closed with all parties performing Ukrainian folk song “Tu zh mene pidmanula”.